In May 4,Friday,2007, Spiderman 3 was shown worldwide. Believe it or not, every major superhit movies are released on Friday. May be thats the reason(or superstition), producers release their movie on this very particular day. Spiderman 3 is the latest blockbuster hollywood movie. It's blockbuster within a day of release because it took in $104 million worldwide within the first day of it's release. 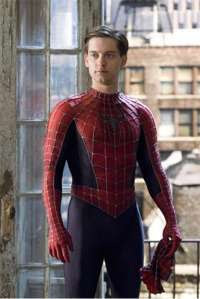 The previous Spiderman(first part) took in $114.8 million domestically within a week in 2002. Now, comparing these facts, Sony Pictures, the studio behind the "Spider-Man" franchise,are hopeful that this Spiderman 3 will make around $135 million to $145 million range for its first weekend. I've not yet watched this movie but first two parts, i'm definitely gonna watch it very soon after getting to know such bells and whistles and record-breaking stuffs regarding it. I just saw it's promotional video and it's damn incredible. The visual supremacy ponders everywhere. I think this would be the final battle between Spiderman and his villains. I don't know if this would be trilogy sort of movies or will it get continuation even after this. But, spiderman is sure going to be bigtime hit. 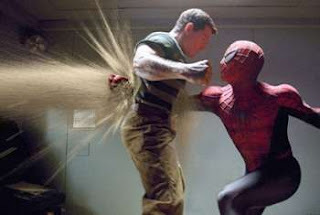 "Spider-Man 3" stars Tobey Maguire as Peter Parker, who is spiderman himself after a bite from a mutant spider gives him with special powers. The new film reunites Maguire with director Sam Raimi and co-stars Kirsten Dunst as Peter's girlfriend Mary Jane and James Franco as his old friend Harry, now a sworn enemy who blames Spidey for his father's death. There is blacksuited Spiderman as I see in promos and which definitely is his darker side,his inner evil, he is fighting against. I've read that story once in comics and now it's depicted in movie. Well spiderman is in Games too and games playable both in PC and consoles too. The sales figure for game too is unexpectedly growing in millions of sales. Well, if this 2007 is the year for the end of the Movie sequels or may be not? because this year Pirates of the Caribbean 3 too is there to watch. 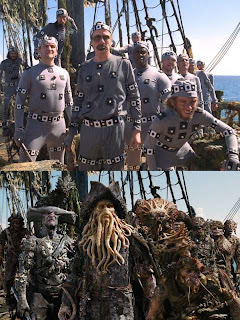 The astonishing figures and huge sea-giant kraken is what fascinates all effect lovers like me. Well, 300 is one hellava great movie and it's fun watching. There is flavours of exaggeration which shows Persians history differently. So far, Persian warriors didn't contain monsters and evil-like huge creatures when we refer to it's history but the movie has bluffed on it's own way. Besides, the special effects, they are so nice and i won't recommend this movie to underage, since it's extremely violent and gore in nature. 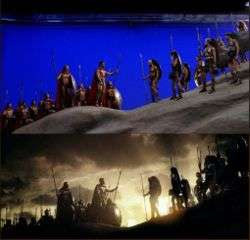 The story is all about 300 greek soldiers(Spartans) fighting against Persian Emperor,Xerxes. Leonidas, in another hand, is the main character and who is the pioneer/leader of 300 spartans. Unbelievably, the bravery of 300 spartans is shown in the movie who before the end of movie get slaughtered by more than a million Persians warriors. The War starts because Persian Emperor wants to reign the world and Lionidas denies to give up his land and ruling power to Persian Emperor Xerxes. The effects are so great that i can't describe it in words. One who loves visual effects, it's a must watch.